The IGNITE SERIES sets new standards! 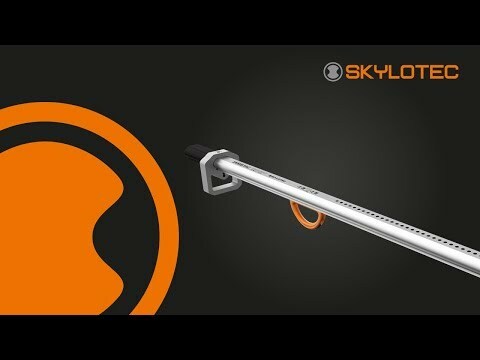 With this safety harness line, SKYLOTEC presents a thought-out system in terms of ergonomics, comfort and design. 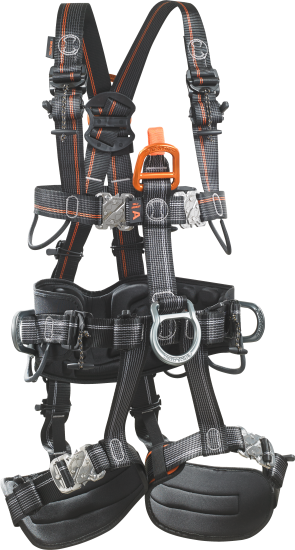 All five harness models for industrial climbers impress with refined details while retaining the maximum user benefit. Every part of the safety harness has been developed in order to outperform user requirements. The aim was to optimize the application process and improve the users’ compliance by significant ergonomic changes. All IGNITE variants impress with refined details while retaining the maximum user benefit. Every single part of the safety harnesses has been completely revised. The new series is distinctive thanks to design and colour scheme. All major anchoring points stand out with vivid orange from other eyelets and gear loops in grey. Hip padding specially adapted to the human anatomy allow perfect fit and comfort, even after prolonged operation in the safety harness. All safety harnesses are standard equipped with shoulder and leg pads. New, patented adjusters prevent annoying loosening of the strap belt during permanent motion. The adjusters rotated by 180 degrees offer significant ease in the shoulder area, whereby the safety harness can be adjusted for the first time by pulling downwards. Protruding belt straps can be fixed quickly and easily with the clever belt strap coiling. The IGNITE SERIES is equipped with specially developed OKTALOCK click buckles that are flat and made of high strength steel. All safety harnesses are available in 3 sizes. Now, the IGNITE SERIES again has been awarded by an international jury for its high functionality and excellent design: After having received the iF Design Award 2016 in the category “Product Design”, the IGNITE SERIES is being awarded with the GERMAN DESIGN AWARD 2017 in Gold. “These safety harnesses are impressive in every respect. The intuitively positioned hooks and eyes are exactly where they should be. Colourcoordinated details and easy-to-use fastenings make the harness quick and safe to put on. It doesn’t make work harder, either.